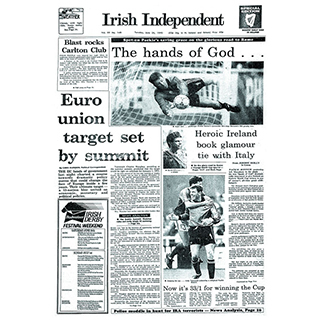 The ultimate collection of Memorable Moments from the Republic of Ireland football team starting with our first victory against Bulgaria in 1924 and covering major moments on and off the pitch such as Euro '88 and Italia '90 through to all of the shocking events from the World Cup 2002 in Saipan and right up to that notorious Thierry Henry handball. 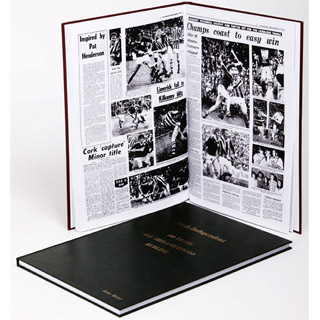 The Newspaper Sports Book is a truly unique gift and one that the recipient will be able to come back to again and again over the years. 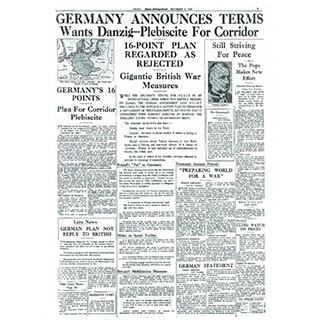 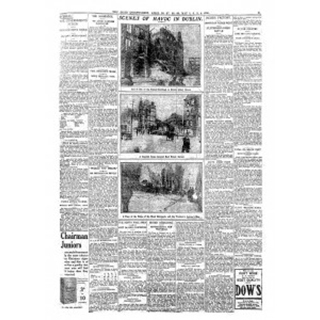 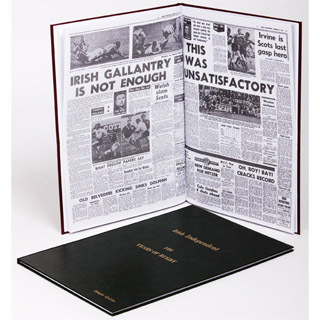 Additionally the impressively sized (30.5cm x 40.5cm) newspaper book makes a great coffee table book and is sure to be a great talking point for guests and friends alike. 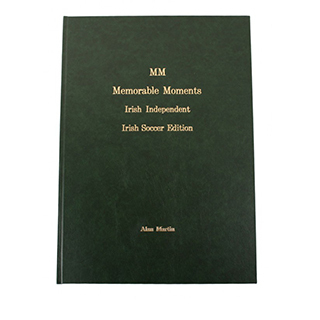 Beautifully presented with a leatherette cover and gold embossing this incredible collection is the perfect gift for the ultimate fan giving hours of enjoyment thumbing through some of the most exciting moments in Irish Soccer history. 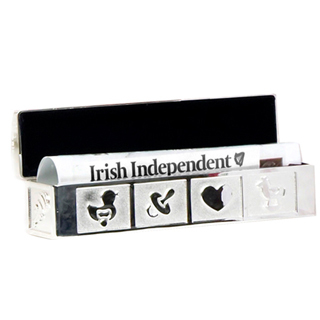 To have the recipient’s name embossed on the front cover, please include the full name with your gift message in the gift message box at checkout or call 0818 222 222 for assistance. 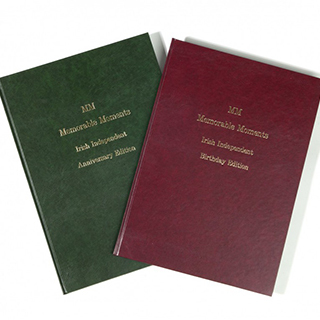 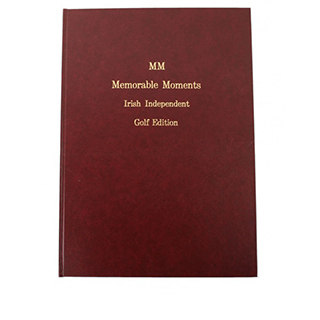 - Free Personalized Embossing on Cover. 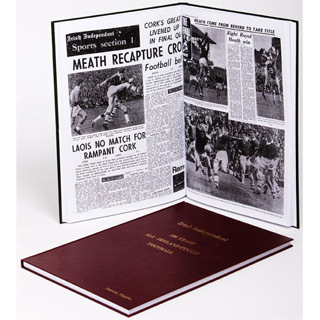 - Includes Match Reports in Exciting Full Colour. 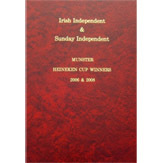 - Includes Reports from Every Major Tournament as Well as Many of Those Controversial Near Misses in the Qualifiers. 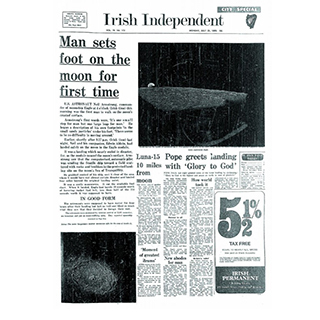 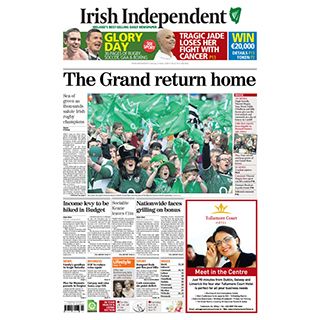 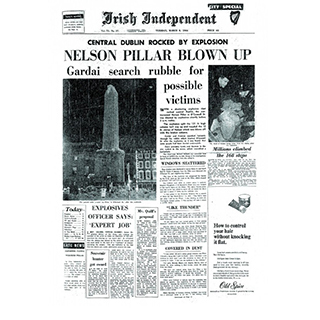 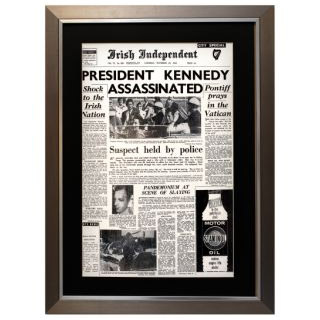 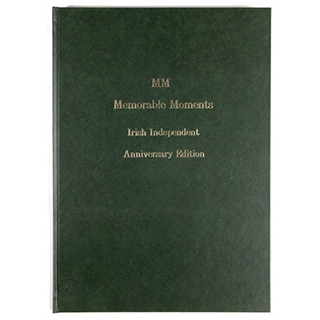 - Additionally Includes the Most Important Moments that have Affected and Shaped the Rep. of Ire. 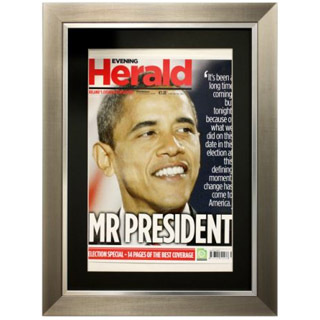 Team Over the Years.